Tinytags record accurately in diverse agricultural environments. Tinytag data loggers are ideal for monitoring many agricultural and livestock processes. Solutions include robust loggers for exposed or remote areas, including underwater devices for fish farming; devices capable of withstanding hot and humid conditions, and units used to monitor conditions for livestock rearing and transportation. Temperature and humidity loggers monitor climatic patterns to help identify optimum planting areas, and also monitor outdoor and indoor soil/air, planting and growing conditions. 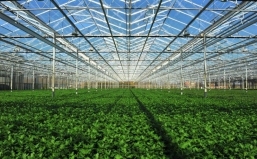 As well as monitoring temperature and humidity during planting and growing, Tinytags accompany produce in transit to ensure that the correct environmental conditions are maintained. Tinytags help identify optimum growing areas in vineyards: each grape variety has unique requirements for ensuring top quality. Tinytags also provide environmental information to aid disease prevention. As well as environmental monitoring to help ensure animal wellbeing, Tinytags are used in veterinary fridges and freezers to ensure medicines are stored at the correct temperatures.